After opening remarks by Randy Roberts, A.C.E., President of the American Cinema Editors, the DGA Theatre in New York took on a hushed tone as the second annual East Coast EditFest got underway June 11. The reason was that the organization remembered one of its own: Karen Schmeer, A.C.E. Lucia Small, both a close friend and a client of Schmeer's editing skills, stood up to talk about the young editor whose life ended earlier this year from a tragic hit-and-run accident near her home in Manhattan. The NY Screenwriting Blog covered this year's EditFest NY 2010. Please read their blog about the event here. 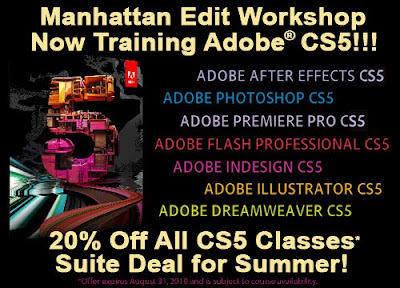 Mewshop is Now Training CS5!! Suite Deals For The Summer! 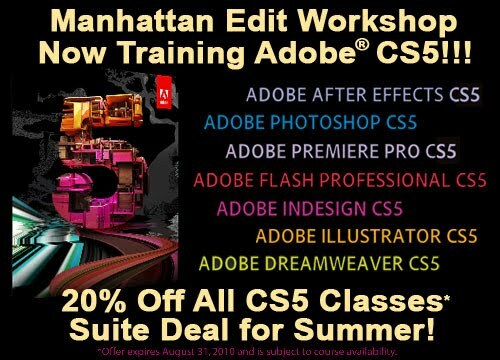 Adobe CS5 courses are now available at Manhattan Edit Workshop! To celebrate, we'd like to offer 20% off any CS5 class - all Summer long! * Our Adobe CS5 Courses include Photoshop, After Effects, InDesign, Illustrator, Dreamweaver, Flash, Premiere Pro and more! For a full list of Adobe courses, click here. Contact MEWShop at 212.414.9570 or info@mewshop.com for more information. Classes to fill up fast, so act now! *Note: This offer cannot be combined with any other offer and runs from July 1, 2010 to August 31, 2010. All classes are subject to scheduling availability. 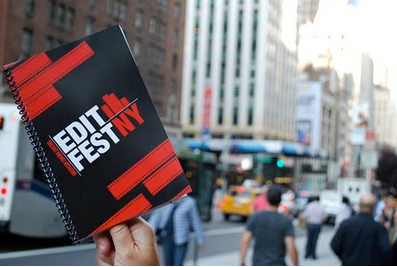 Check Out This Great Article on EditFest NY by Moderator Bobbie O'Steen! EditFest NY moderator Bobbie O'Steen talks about her panel with Alan Heim. 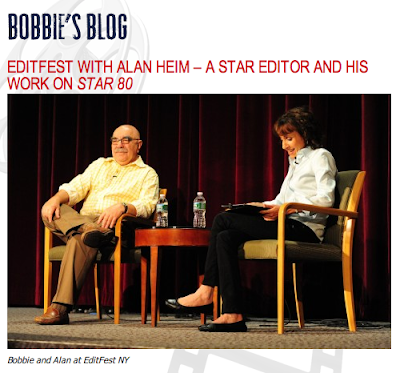 Go to http://www.bobbieosteen.com/2010/06/bobbie-and-alan-at-editfest-ny/ for more information. Our Popular 3-Day DSLR Fundamentals Workshop Returns July 30 - August 1! 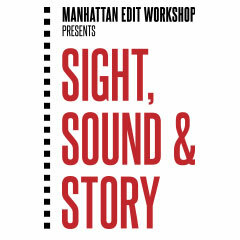 Manhattan Edit Workshop's popular workshop returns July 30 - August 1! For more information click here. 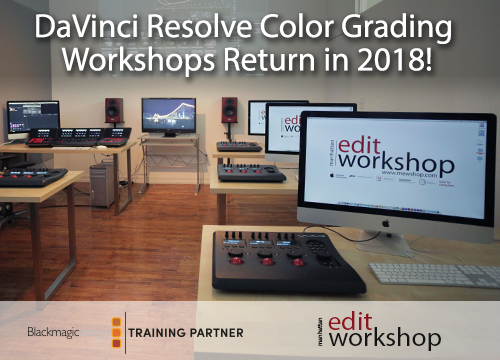 New Dates Announced For Video DSLR Fundamentals 3-Day Workshop! 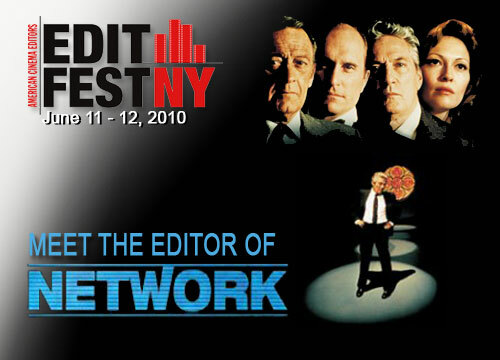 EditFest NY 2010 Confirms The Editor of Network as a Panelist! EditFest NY is proud to confirm Oscar™winning editor Alan Heim, A.C.E., as a panelist for this year's event. Alan will have his own panel where he will deconstruct scenes from his own body of work. Some of Alan's work includes All That Jazz, American History X and Network. To find out more information about this event go to www.editfestny.com.